Hot off the press! 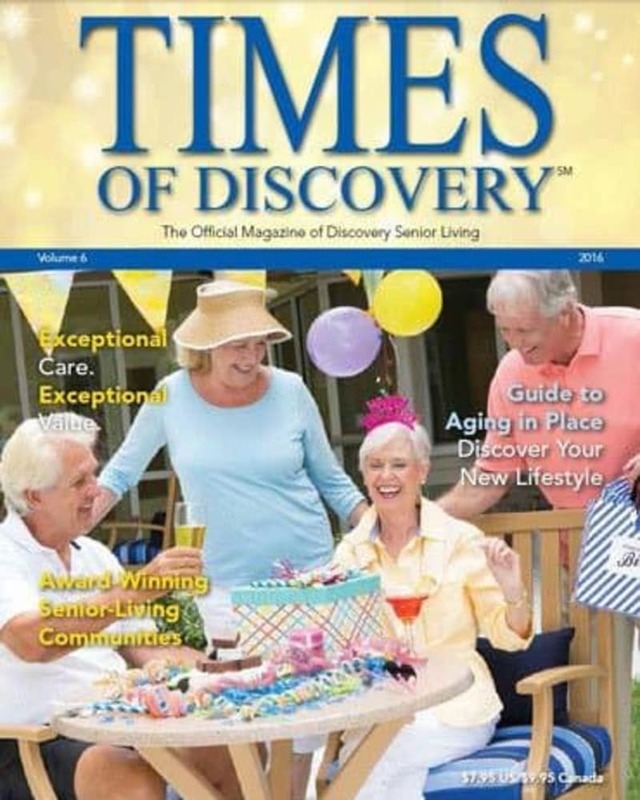 Be the first to order your FREE Times of Discovery digital magazine, the definitive guide to Discovery Senior Living’s award-winning communities and lifestyle offerings. Discover a world of exceptional senior living as you explore our exclusive lifestyle programs, including Sensations dining, Celebrations activities, Dimensions wellness, Connections transportation, Impressions housekeeping and Expressions concierge services.